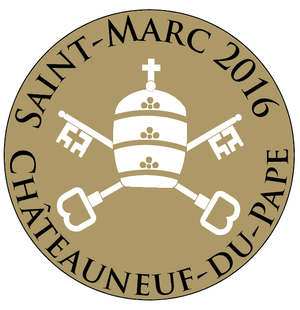 In France, Saint Marc is the patron saint for all winemakers, and as such, is celebrated each year on 25 April. In Châteauneuf-du-Pape, the celebration originally bore a religious and popular character. 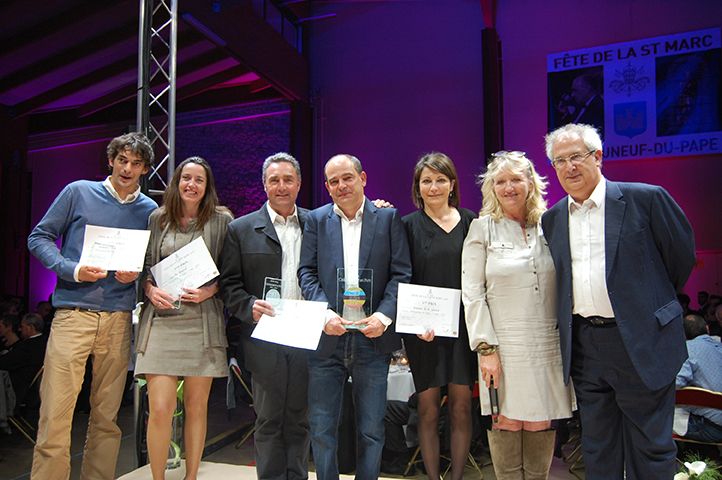 It is now known as its official wine competition, rewarding the best Châteauneuf-du-Pape wines, and involves most winemakers and wine merchants of the appellation. 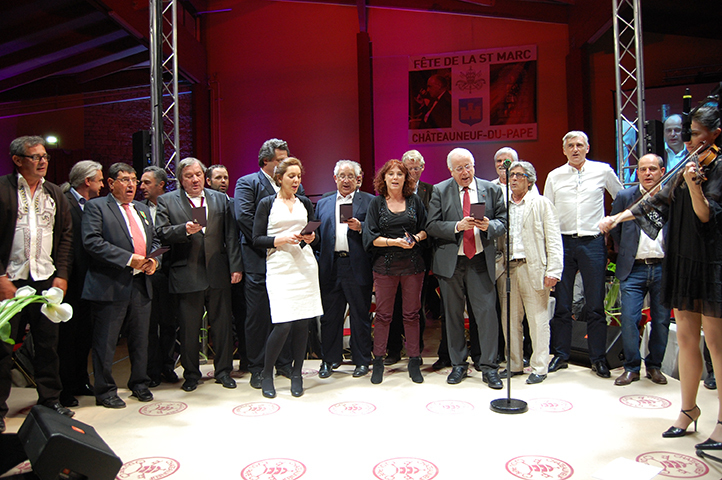 2016 was a special year for the Saint Marc competition: not only were the local producers celebrating the 80th anniversary of the Châteauneuf-du-Pape AOC (Protected Designation of Origin), but also the 50th anniversary of the competition itself, which started in 1966. The 2016 competition focused on the latest vintage (2015) and on 2012 reds and whites. Juries made up of a mix of professionals and amateurs tasted 234 samples, duly made anonymous by a court bailiff. A first shortlist was established after a tasting on 7 April, before a final selection was made a few days later. 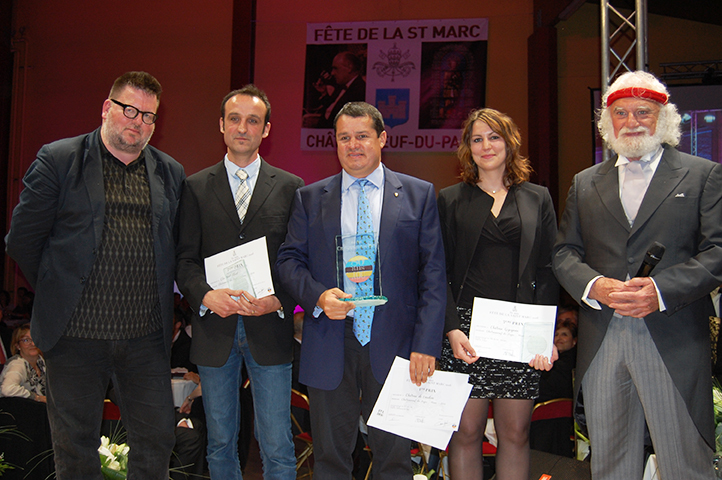 The award ceremony took place on Friday 22 April, during a gala dinner at the Dufays Municipal Hall in the centre of Châteauneuf-du-Pape. The event gathered over 600 people, a joyful mix of winemakers, wine merchants, elected officials, celebrities and lovers of Châteauneuf-du-Pape wines. 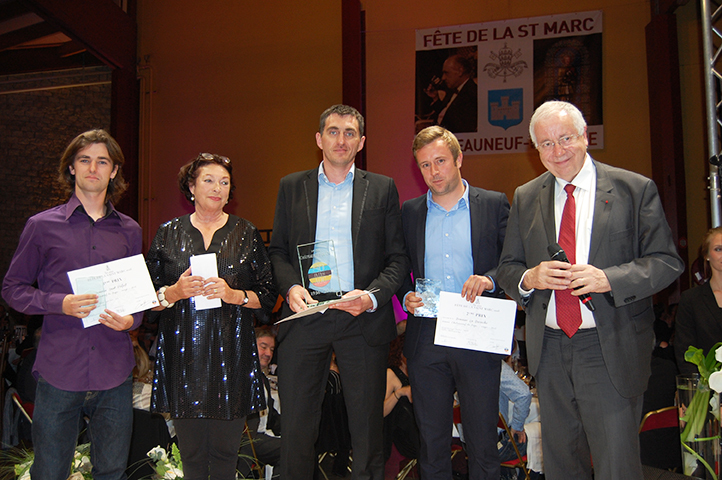 The awards were given by various celebrities, among whom French actress Marie-Anne Chazel and French TV announcer Claude Sérillon, both of them patrons of the 2016 ceremony, but also Danish author and specialist of Rhône Valley wines Niels Lillelund, French actresses Charlotte de Turckheim and Claire Vernet, wine critic Michel Bettane, former rugby player Daniel Herrero, geographer Jean-Robert Pitte and French TV announcers Valérie Expert, Jean Lanzi and Catherine Ceylac. During the evening, the names of the winners were disclosed and the latter were given a certificate and a trophy. The winning wines were served at the gala dinner, giving everyone the opportunity to taste, compare and give one’s own judgment of the award winning vintages.